Scene from The Love Project. I promised myself I would never use or paraphrase the title of Raymond Carver’s short story collection (What we talk about when we talk about love), because it is a cliché, but I had to. Probably I will never find a more accurate opportunity than this post to use it. Love is such a core element of human relations that has been intensely explored while it is never explored enough. The Modern Love column in The New York Times is an example that as many unique and diverse humans populate the planet, as unique and diverse will be the ways of experiencing love. The feeling comes attached to our cultural background and our sentimental education. To memories, experiences, movies, songs, expectations, persons and an infinite list of elements that conform our definition of a concept that paradoxically seems to be universal, but as the title that Editor Gordon Lish gave to Raymond Carver’s short story, we are not totally sure if we are talking exactly about the same thing. The aim of this article is to introduce a project that was born from this concern. 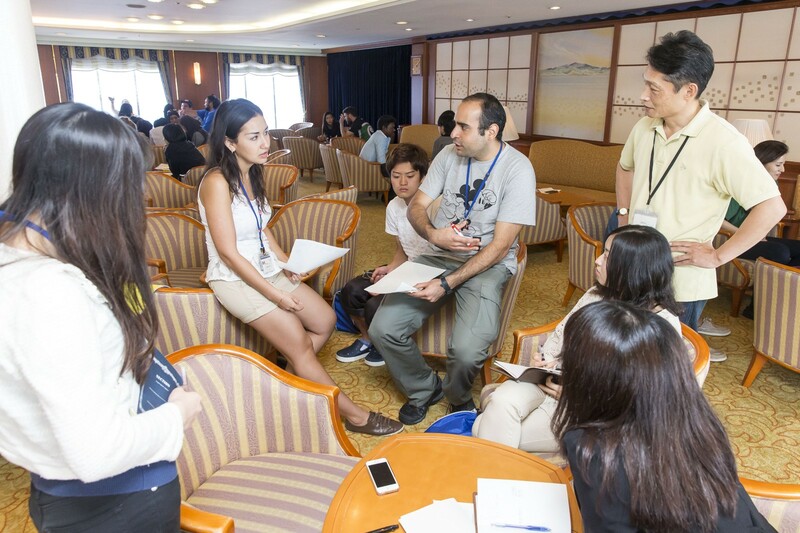 During the 28th version of the international program The Ship for World Youth, organized by the Government of Japan, who reunited 240 people from 11 different countries (Australia, Bahrein, Chile, India, Japan, México, New Zealand, Russia, Sri Lanka, Tanzania and United Arab Emirates) I took part of the Information and Media Course, facilitated by the TV Documentary Director Mifuyu Shimizu. In the course I met Ruriko Kikuchi. 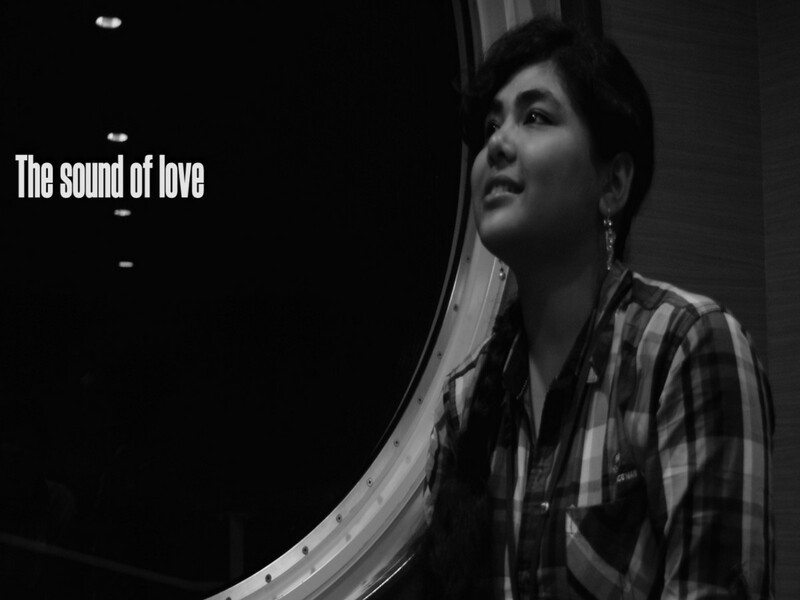 As a pre-departure assignment she had made a short video asking her family and friends what was love for them. The idea, she told us, came from a statement that hooked the rest of the group: “I’ve never said: I love you, to my parents”; what sounded quite hard at a first instance, turned to be a revealing element of Japanese culture. While other cultures use the expression even to promote hamburger brands, in Japan there is not even an accurate translation to their language. The first creative meeting. Photo by Shun Taguchi. 1) We would talk about what we don’t talk about when we talk about love. We would do our best to avoid the obvious cheesy relationship stories or anything that could even resemble Valentine ’s Day. 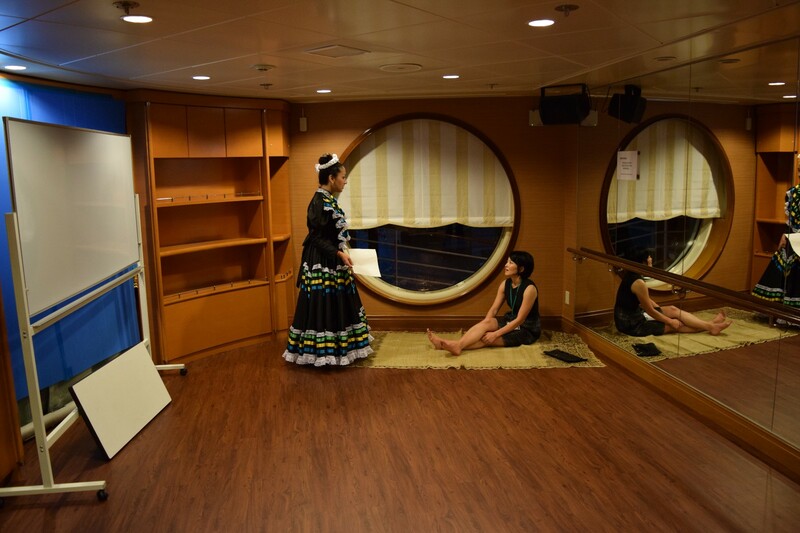 2) We were inside a ship with people from 11 different countries, so we had a unique opportunity to compare. We would interview a man and a woman from each country. We chose them based on their personalities and what we had observed and learned about them in almost a month living together. 1.- What are you passionate about? 2.- How do you express and experience love? 3.- What do you love? 4.- If love was a color what color would it be? 5.- If love was a sound what sound would it be? 6.- If love was a smell what smell would it be? 7.- How would you define love without using the word love? 8.- How would you express love in your own language? Most of the interviews were conducted smart and sensitively by Natalia Luna from México and Emma Wooldridge from Australia, all in the same location. 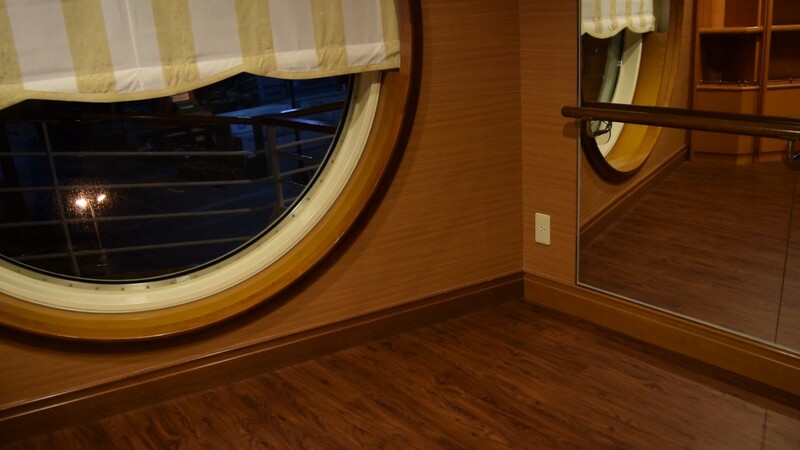 With the exception of Ruriko who we decided to include as an interviewee, as part of her own discovery in the development of the project, the interviewees were invited without knowing what the conversation was going to be about. The location for the interviews. Photo by Enrique Núñez Mussa. Interviewer Natalia Luna in the first day of shooting. Photo ENM. The answer to the question about their passions used to be speeches related with their careers or ideals, but after the second question all reacted with a surprise face and the tone of each interview changed. Although as the song lyric says: “Love is in the air”, when we stop for a while to give words to the processes associated with it, we force ourselves to be logical. I could see in the face of each interviewee how authenticity was manifested in their eyes and expressions during the merge of pathos and logos. I learned looking at them that we are so busy feeling love and focusing the analysis on the persons and situations we attach to that feeling that we tend to forget to analyze how we experience the feeling by itself. When checking the videos, I was captivated on how everyone looked so honest and warm on camera, with a genuine charisma. Therefore I also learned that to get the best shot of someone, it helps to take them to an emotional state where they will not be able to protect themselves through a mask or how they would like to appear for an audience. 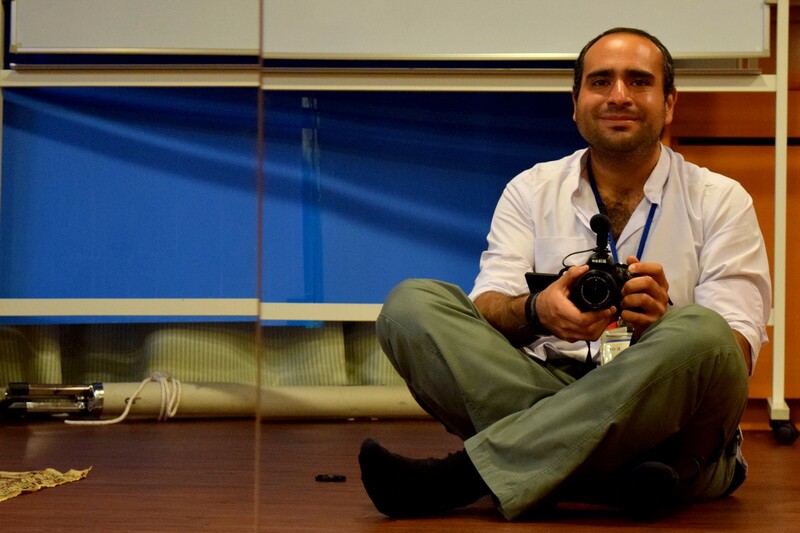 Mirror portrait during the shooting. It was a privilege to be the director, cinematographer and video editor of this short documentary working with an awesome team: Aoi Shimizu, Asumi Hashi, Emma Wooldridge, Natalia Luna, Ruriko Kikushi and Ryosuke Osaka. Each one contributed essential elements to make it work. I also want to recognize that the background music is from a talented Chilean artist called Diego Peralta and it was used under a Creative Commons License, with no commercial purposes. This is the first cut of the documentary edited in a rush during our last days in the ship. Although I am happy with the result, I know there are still aspects –specially technical, like the sound of some of the interviews– to be improved, but on the other side I am sure its content is valuable and must be shared. We still have to define what will be the next step for this project. Meanwhile I would like to invite you all to think about the questions and answer them for yourself, it is a revealing exercise and of course to watch, enjoy and share the video.